We have all experienced it at least once: you turn on the sink, and instead of going down the drain, water begins to pool in the basin. You have a clog, and your first instinct may be to run out to the store to pick up a liquid drain cleaner. After all, that’s the best way to clear a clog, right? Actually, liquid drain cleaners are not all they’re cracked up to be. The chemicals that make up these commercial cleaners are harmful to your pipes, even if the label claims that it’s safe for your plumbing. Over time, these products corrode your pipes, which can set you up for an expensive repair down the road. Save your plumbing by avoiding these products. 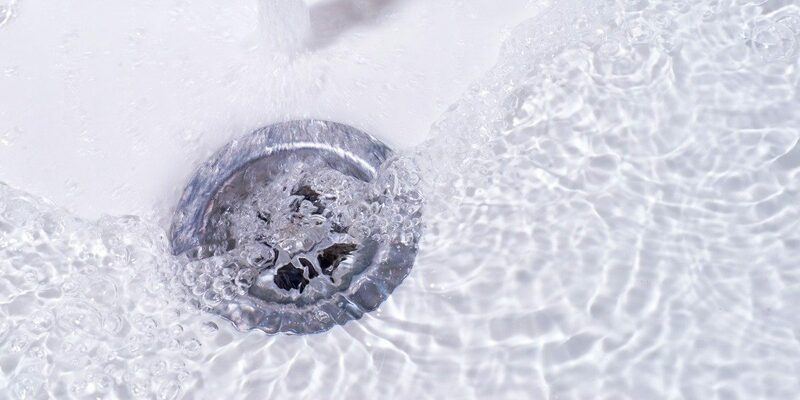 If your drain is just a little slow or you’re looking to prevent clogs, you can address these concerns will some simple drain maintenance steps. Hot water. Every month or so, pour a pot full of hot (not boiling) water down the drain. This will melt clogs. Then follow with some cold water to wash them away. Baking soda and vinegar. This classic combo from your fourth-grade volcano project is a wildly effective drain cleaner as well. Pour half a cup of baking soda down the drain, followed by half a cup of vinegar. Then, plug your sink and allow it to sit overnight. In the morning, unplug the sink and wash it down with hot water. Doing this once a month can help prevent clogs. A plumber’s snake. This tool is used to break up pipe clogs. There are several different types, but in general, you feed the wire through the drain pipe and turn a handle that causes the snake to spin inside the pipe. When it hooks onto the clog, you can pull it out, dislodging the obstruction. Cup plunger. A cup plunger is a helpful tool for removing clogs. Start by pulling the stopper out of the sink. If the water doesn’t begin to flow, block the overflow opening to create suction. Place the plunger over the drain entirely, run a bit of water in the sink, and plunge up and down. The clog should loosen, making it easier to plunge. If none of these interventions work, it’s time to call your reliable plumber in Suffolk County. Contact Hubbard Plumbing if you’re looking for a plumber with the expertise necessary to quickly and effectively clear clogs.